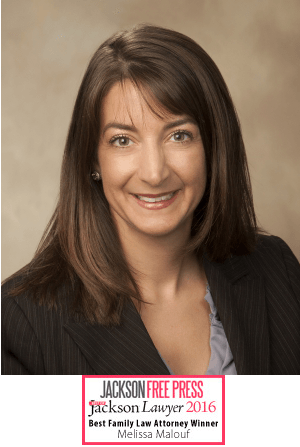 Melissa primarily practices in the areas of domestic relations and criminal law. She graduated from the University of Mississippi in 1994, where she received many honors. She received her law degree from Mississippi College School of Law in 1998. During law school, Melissa served as Treasurer and President of the Law Student Bar Association and Co-Editor of The Legal Eye. She is a current member of the Hinds County Bar and the Mississippi State Bar, where she has served on several committees. She is also a past officer of the Jackson Young Lawyers Association and past member of the Charles Clark American Inns of Court. Melissa is the proud mother of two young sons, Bash and Brody, and is a member of St. Richard Catholic Church. Contact Jackson Attorney Melissa A. Malouf for legal counsel you can trust.